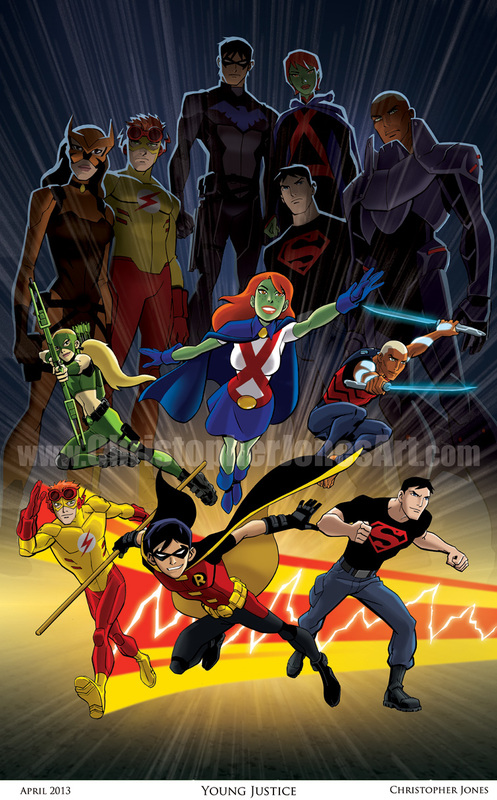 I’ll be joining my Young Justice partner-in-crime Greg Weisman at the Denver Comic Con this weekend, so it’ll be a great opportunity to get us BOTH to sign all those Young Justice comic books and prints! And Young Justice fans also won’t want to miss Khary Payton (the voice of Aqualad) and Kelly Hu (the voice of Cheshire) who will also be there! This panel will feature Young Justice writer/producer Greg Weisman, Khary Payton (the voice of Aqualad) and myself! We’ll be convening in Room 104 at the conclusion of the “Nuts and Bolts of Writing Comics” panel (which features Greg Weisman and a host of other powerhouse comics writers.) 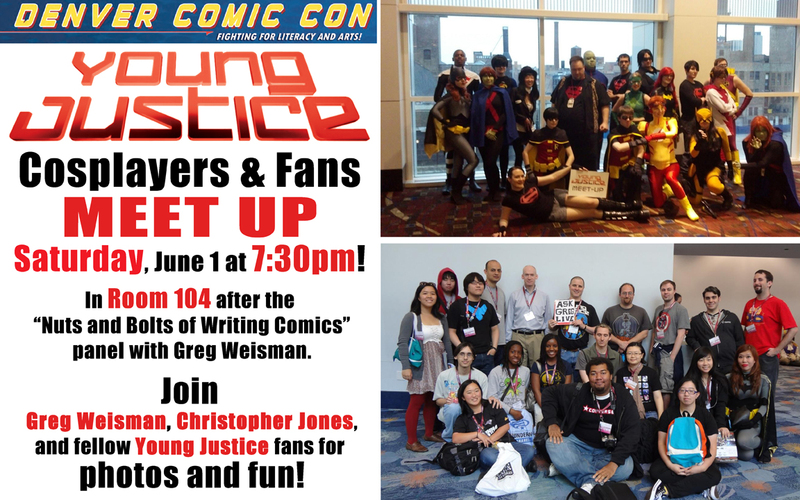 Greg will join us for photos and an informal chat about Young Justice and its fandom. This will be your best opportunity at the con if you want photos with both Greg and me. Come hang out with us! Aurora Rise is a Section 501(c)(3) non profit charitable organization founded in the wake of the Century 16 Aurora theater shooting on July 20, 2012. It has been created by victims to help other victims with small acts of assistance and kindness. 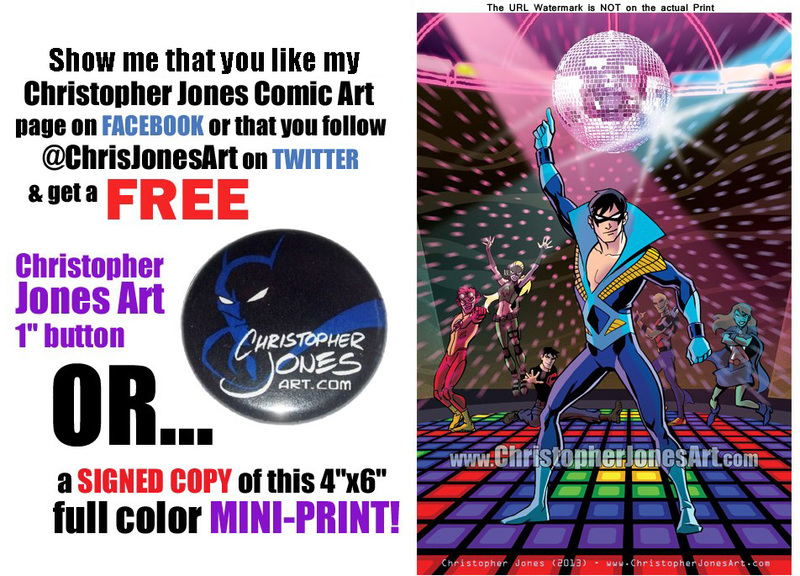 I will be spending some time at their booth, signing these black and white 4×5″ Young Justice mini-print cards for FREE. I encourage you while you’re there to check out the cool merchandise, limited edition prints and First EVER Limited Edition Aurora Rise Sketchbook Vol 1 that they’ll have available at the convention! More information on their website. A discussion of *all-ages* comics – comic books aimed at older and younger readers alike! With Jeffrey Brown, Dan Parent, Jamal Igle, James Taylor, Mario Gonzales, Greg Weisman and myself. 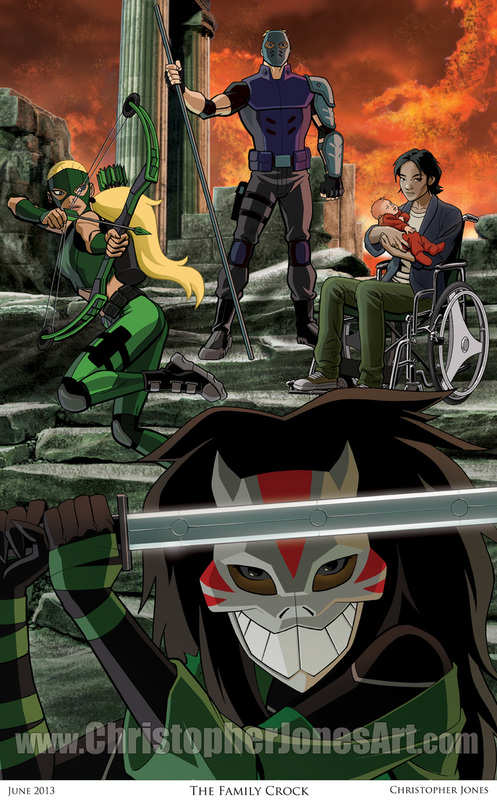 I’ll have TWO Young Justice prints available at the show, one featuring the Season 1 and Season 2 versions of the core Team, and a new one making it’s debut at this convention featuring the Family Crock: Artemis Crock (aka Artemis), Jade Nguyen (aka Cheshire), Paula Crock (aka Huntress), Lawrence “Crusher” Crock (aka Sportsmaster) and the very young Lian Nguyen-Harper. Like all my 11″×17″ color prints they’ll be available at the convention for $20 each, which is a savings of $10 (plus shipping) over buying them from my Etsy Store. (Yes, the new print will eventually be on Etsy too… after I get back from the convention.) This is your chance to get one of these signed by both me and Greg Weisman, and maybe even some voice actors all in the same weekend! 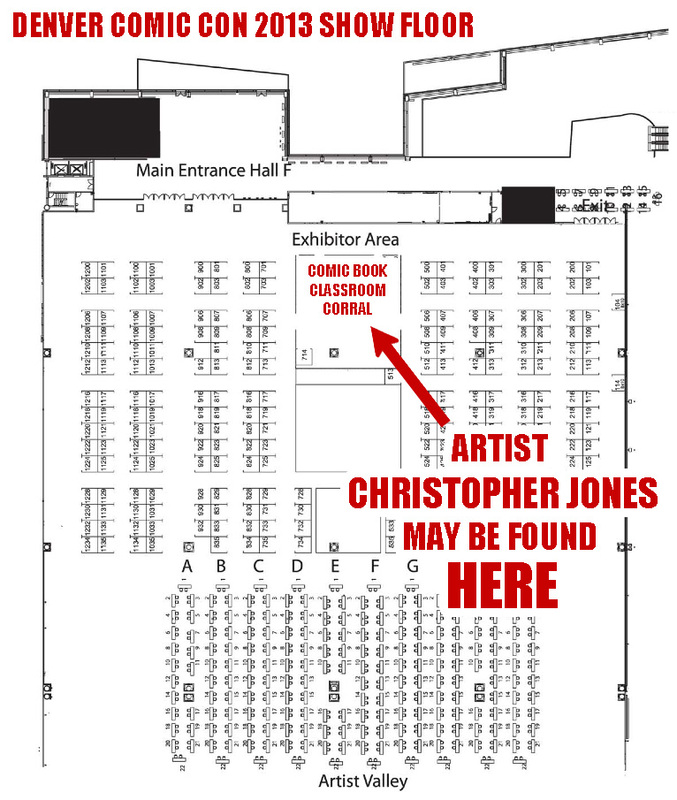 If you’re not able to make it to Denver Comic Con this weekend, you can check out all my planned convention appearances for the coming year on my Appearances Page! Otherwise, I’m looking forward to seeing lots of great cosplay, meeting lots of awesome fans, and just enjoying the convention weekend. I hope I see you there!